The Panania Hotel is situated next to Panania Station making this Panania Accommodation the perfect location for your stay in Sydney’s west. There is plenty of accommodation to suit all guests including singles, couples, families or groups. Room types include Basic Double, Quad and Standard Twin rooms which all offer shared bathroom access. The Standard Double and Triple rooms include ensuite bathrooms. All rooms include reverse cycle air-conditioning, tea & coffee making facilities, towels & linen, foxtel and free toiletries. Panania Hotel also offers a sports bar fitted with big screens perfect for sporting events, a quality bistro where guests can enjoy traditional pub fare, trivia nights, karaoke and live music on Saturday nights. 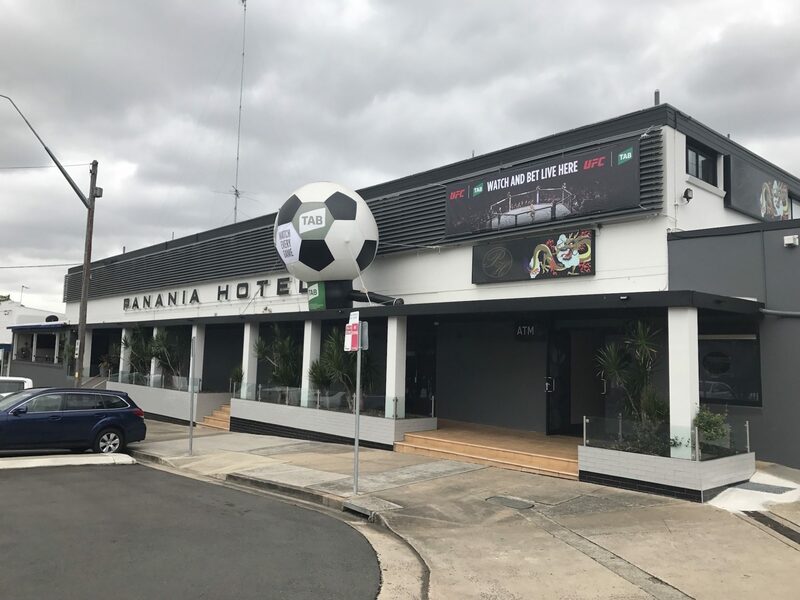 Whether guests are looking for accommodation, a bite to eat, catching up with mates or watching big sporting events, Panania Hotel is the ideal destination! Panania, a suburb of local government area Canterbury-Bankstown Council, is located 23 kilometers inner south-west of the Sydney central business district, in the state of New South Wales, Australia, and is a part of the South-western Sydney region. The postcode is 2213, which it shares with adjacent suburbs East Hills and Picnic Point. Panania is bounded on the north by the M5 South Western Motorway and the suburb of Milperra. Picnic Point, to the south, features parklands along the Georges River. East Hills is the suburb to the west and Revesby is located to the east. > Situated next to Panania Station, Panania Hotel is the perfect location to stay in Sydney’s west. The Panania Station is situated on the T2 train line providing guests easy access to Milperra industrial area, the airport and Sydney CBD.